The world of dentistry is constantly changing and evolving for the better. We couldn’t call ourselves Jacksonville Complete Dentistry if we didn’t do our best to keep up! Our practice is outfitted with plenty of state-of-the-art technology and advanced comfort techniques for the sake of our patients. Our doctors are 100% committed to ensuring that you have a smooth and satisfying treatment experience from beginning to end. Our Jacksonville location is open to patients of all ages and even whole families. Please contact us today to schedule a first visit! 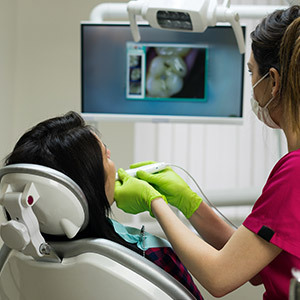 Our intraoral camera is great at capturing high-definition images of the inside of patients’ mouths. Not only are these pictures helpful for our team when we’re attempting to identify common dental problems, but we can also use them as educational aids for you and your family. After all, haven’t you ever wondered just what the dentist is seeing when they take a look? 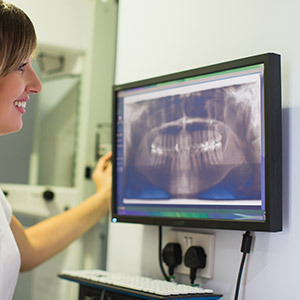 Your smile has a lot going on under its surface, which is why X-rays are such a crucial part of high-quality dental care. Instead of relying on traditional film and all its shortcomings, our team has decided to move into the future with modern digital radiography! 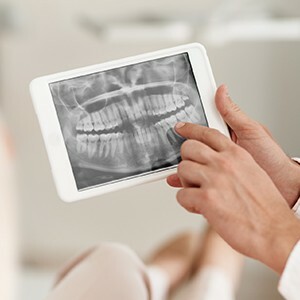 Digital X-rays offer several great benefits to patients – they develop in seconds instead of requiring darkroom development, they work as great patient educational tools, and they even reduce radiation exposure by up to 80%.